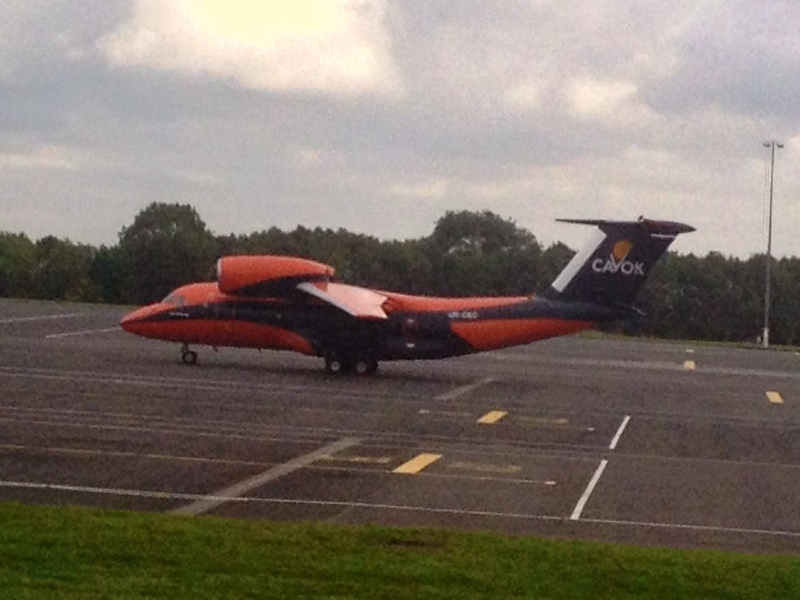 The plane itself I was tweeted by Newcastle Airport was an Antonov An -74. Here you see a snap I took with the disappointing I Phone camera ( Apple please improve your camera, forget the filters that hide the poor quality but the basic camera is really poor) and one that Newcastle Airport tweeted back. CAVOK AIR was established in 2011 and start its operation since 26.04.2012 – the date of receiving Airline Operator Certificate from Civil Aviation Administration of Ukraine. Antonov An-74 is a twin-turbofan airplane designed to carry up to 10,0 tonnes of cargo at a cruising speed of up to 700 km/h at a cruising flight altitude of 10,100 m.
The engines have low fuel consumption and high level of reliability. They meet ICAO requirements for aircraft engine emissions and noise. High engine arrangement practically precludes ingestion of foreign objects into engine air intakes at takeoff and landing even when operating on pebble airfields. Landing gear with low-pressure tires allows autonomous operation of the aircraft on both hard-surface runways and unpaved strips. The rear fuselage features a mechanized cargo door used for loading/unloading cargoes, wheeled vehicles, livestock cargo, …. . The internal crane enables to load and move inside the cargo compartment pcs up to 2,500 kg. This is all good news. Many travellers, mostly in front of me at Heathrow this morning seemed to have 2500kg of luggage so this might be the airline for them. What however is weird is that they just dont look right. Why those huge engines seemingly balanced on the wing ? 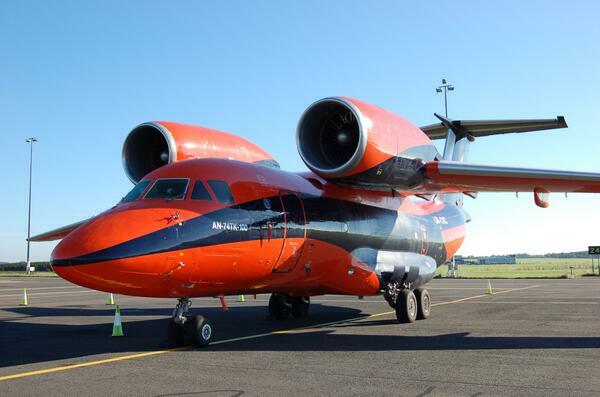 The plane also looks like a small passenger jet and not a cargo plane. Anyway great looking plane and seemingly great little company.